Why does India need evidence-based policies more than ever? Making crime policy without research evidence is like prescribing medicine to a patient without diagnosis. 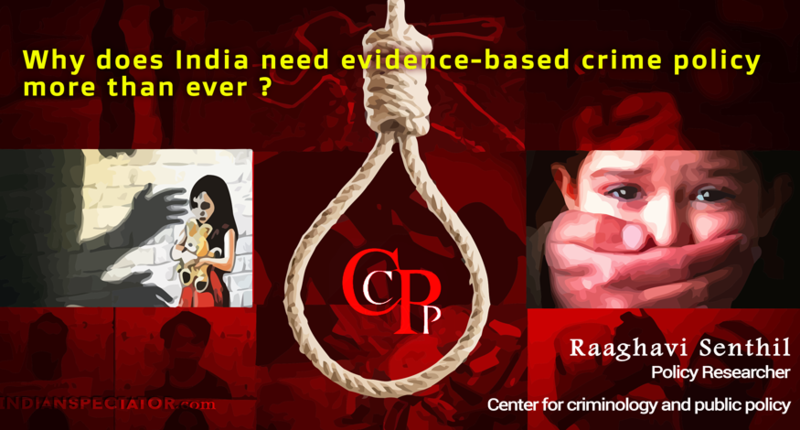 The Center for Criminology & Public Policy is owned by the Rajasthan Society of Criminology and Victimology, a non-profit organization registered under The Rajasthan Societies Registration Act, 1958 (Rajasthan Act No.28), with S.No.COOP/2017/UDAIPUR/100024. Its registered office is in Rajasthan, India. © 2018 ccppindia. All Rights Reserved.